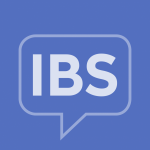 Throughout the month of April, the team at IrritableBowelSyndrome.net has been speaking out about IBS Awareness Month. We’ve had a lot of great comments and discussion on our Facebook page, and we wanted to keep the conversation and awareness going! IBS symptoms can be extremely difficult to effectively control. Sometimes, what works to control symptoms one week, makes symptoms flare the next. With the many symptoms that IBS sufferers experience, some can be more problematic than others. Many IBS sufferers have found that following specific dietary strategies help relieve symptoms. What does awareness mean to you? What have you learned about IBS that has impacted your journey with this invisible illness? We’d love to hear about your thoughts by commenting below, or by sharing your story.